Explore Programs Designed Just For Virginia! Virginia teachers expect flexible, contemporary curricular options that support and enhance instruction, along with 100% coverage of the Virginia Standards of Learning. 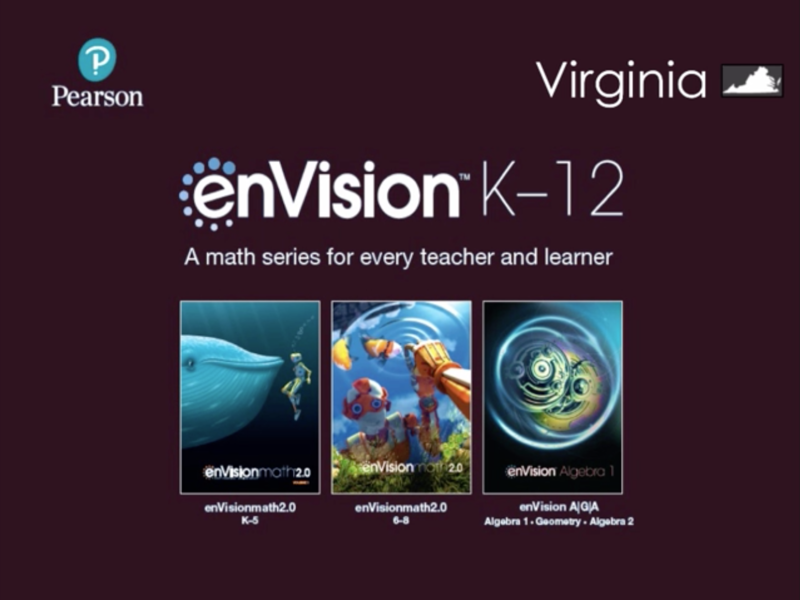 enVision™ K-12 Mathematics offers Virginia teachers the cohesive curriculum resource required to fully support the SOL with the power to personalize student learning. Below you can learn more about our newest Virginia math options, request samples or a call from your Account General Manager, or sign up for FREE online demos.